DIMMABLE ON A REGULAR DIMMER. *Please pay attention to the minimum load required by the dimmer. 1:1 Replacement for ~20W halogen spots. The warm light color (2500-2800K) and color rendering (CRI:75) easily match those of regular halogen lamps. Even if the lamp is turned on at full brightness, the warm color temperature remains. This is not the case with a halogen lamp, which becomes cooler white when turned on at full brightness. 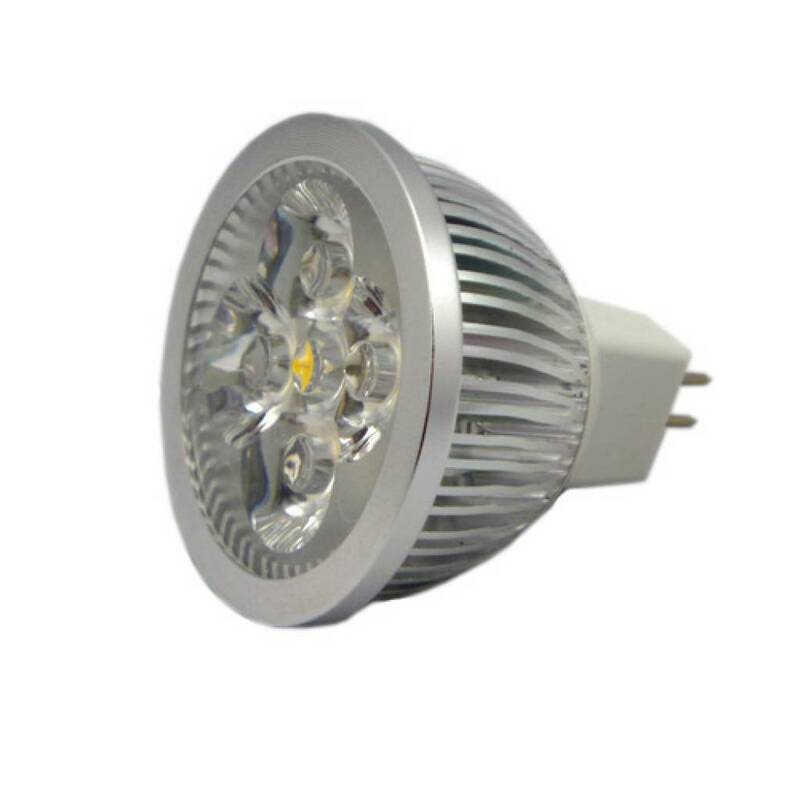 The energy-saving properties of this COB LED spot and the long lifespan make this the perfect replacement for halogen spots. Please look below for a simple savings calculation. This calculation assumes that the lamp is lit for 6 hours every day. Because electricity prices vary throughout the world, we will use the average price in the UK for this example, which is about £0.15 (€0.17) per kWh. With this electricity price, the yearly savings amount to £5.42 or €6.14 per lamp per year. The average lifespan of this LED lamp is 30.000 hours, compared to 1.000 hours for a halogen lamp. Changing your lamps regularly is therefore a thing of the past! This especially comes in handy when lamps are in hard-to-reach places. The example above assumed the lamps were lit 6 hours per day, or 2190 hours per year. This means that in the above situation this lamp would have a lifetime of 13 years, saving £70.46 / €79.82 in electricity alone! This lamp can be dimmed on a normal dimmer. Please pay attention to the minimum load required by the dimmer to function. Normal dimmers require a certain amount of electricity to flow through them to properly dim the lamps. Because LED lamps use very little electricity, it is possible that your dimmer is unable to dim only 2 or 3 LED lamps. Snelle levering(binnen 2 dagen) ondanks dat er op de site stond dat er een leveringstijd van 3 tot 6 weken was.Kleur licht voor mij erg belangrijk. 2500-2800 Kelvin komt aardig overeen met een halogeenspot. Heeft iets minder lichtopbrengst dan een halogeenspot van 20 watt.